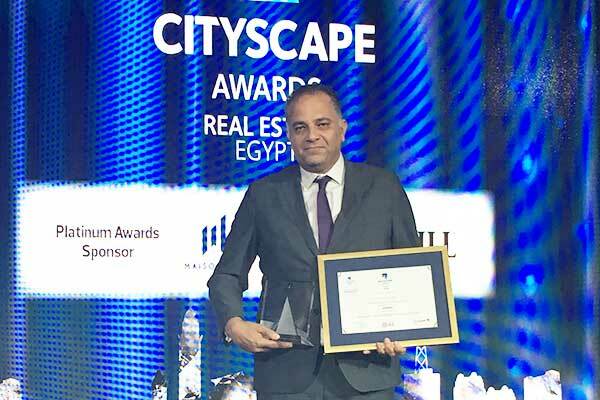 Egypt-based real estate developer Sodic was announced as winner of “Best Low to Medium Rise Built Residential Project Category” at the recent Cityscape Awards in Dubai, UAE, for its project Forty West in Giza. Launched in 2009 and fully delivered with almost all homeowners moved in, Forty West was designed by internationally acclaimed Boston-based Machado and Silvetti Architects, with interiors by award winning interior designer Eklego. Located in the heart of Sodic West, Forty West is recognised for its outstanding design set on a vibrant 2,500-sq-m piazza, making it a truly unique destination. Sodic has received over 15 international awards over the years recognising Sodic West and the diverse developments within it, the last of which were last year’s two Cityscape Awards for Projects “Westown Medical Centre” and “The Polygon Business Park” marking the Polygon’s fourth accolade. “It is always an honour to have our work recognised," said Magued Sherif, managing director of Sodic. "Sodic is committed developing and delivering world class developments and this award comes as yet another testament to that."